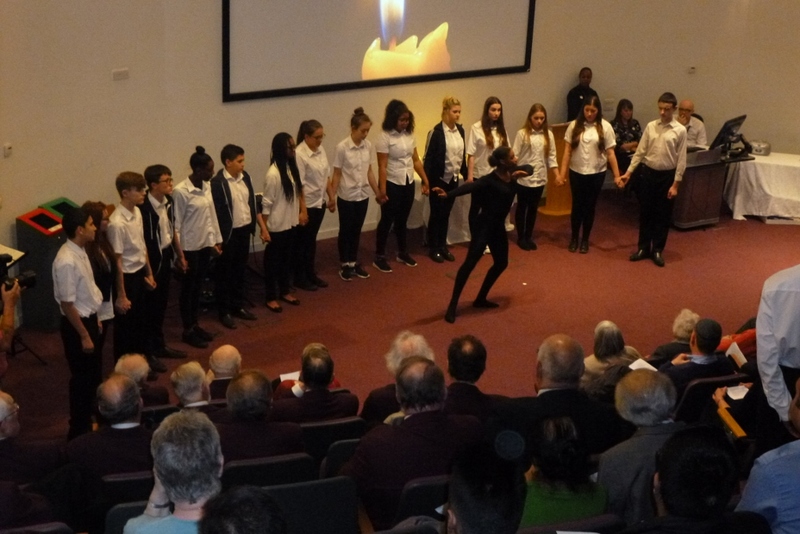 The Holocaust Memorial Day events in both Luton and Bedford were both supported by pupils from local schools. In Luton drama students from Stopsley High School performed a moving drama - The Last Dance which illustrated this year's HMD theme of 'How can life go on'. It was an exceptional performance which was very much appreciated by the audience from across Luton's diverse communities. 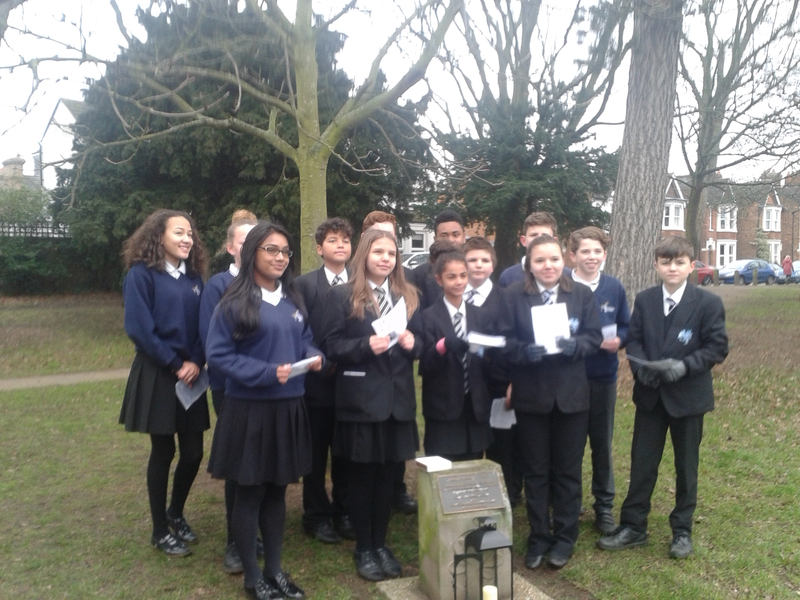 In Bedford, pupils from Goldington Academy, who have been working with the Anne Frank trust performed readings at the Anne Frank Tree. 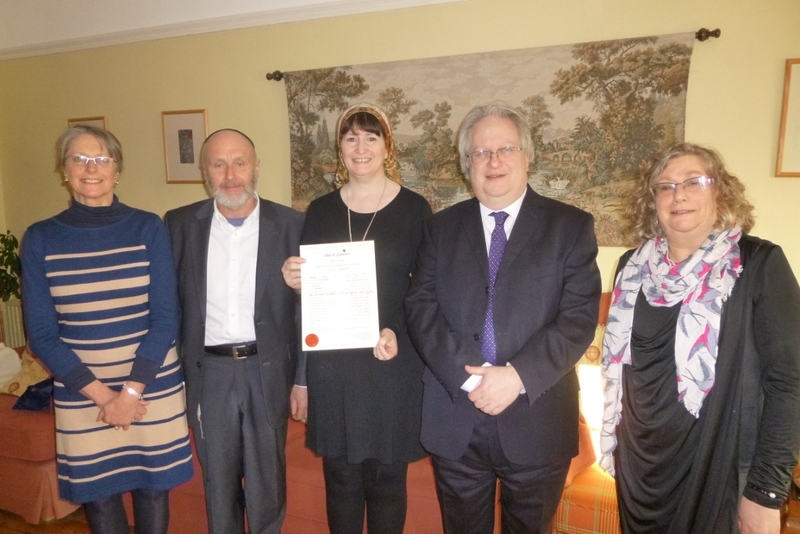 On Thursday 5 January, I delivered the Klatovy Memorial Tree to Thanet & District Reform synagogue with David, Elliot & Nathan Fox. The Rabbi, Cliff Cohen was there with his with wife Helene, as was the community Chair Ian Smiler. I installed the tree, which was pretty straightforward after we had adjusted the height of the clock to allow the tree to stand beneath it. Although quite stable as a free-standing piece, the tree is fixed to the wall with two small brackets on the trunk. 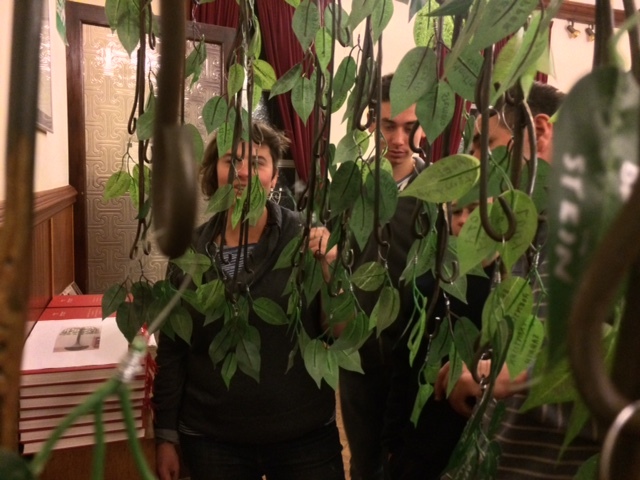 Together we all hung the leaves on the tree, on which the names (commemorating over 200 people from Klatovy) had been written by various members of the community at a previous event last year. 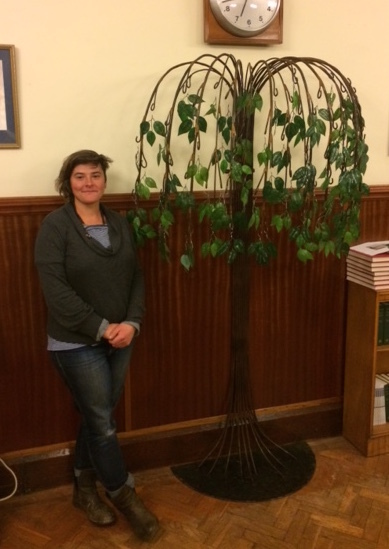 The community seem thrilled with the tree, which sits on the back wall of the main hall, opposite the ark and bimah. It’s been a really nice opportunity to collaborate with the community to help them realise the commemorative piece they have had in mind for some time. After years of searching and learning more about my roots, the conversion process seemed the natural thing to do. 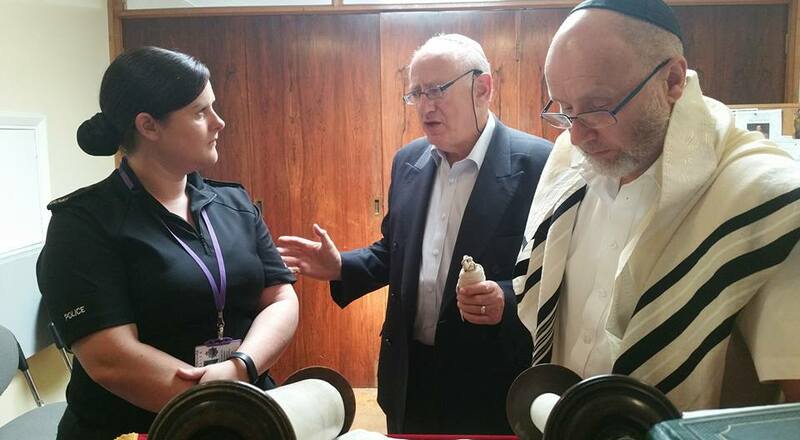 I was unsure how to go about it until I found a shul in Bedford and began going to services. Gradually I started to get more involved and began weekly lessons with David Young. The more I learned, the more I realised that this was who I was and it was liberating to say the least. It was the missing piece to the puzzle. It hasn't been an easy journey despite the support of most of my friends and family. Judaism isn't just a religion. Its a way of life, and I learned very quickly that by choosing to be me, it meant throwing off everything that WASN'T me. There were questions from people who knew me, followed by mostly supportive responses but also a few that were not. 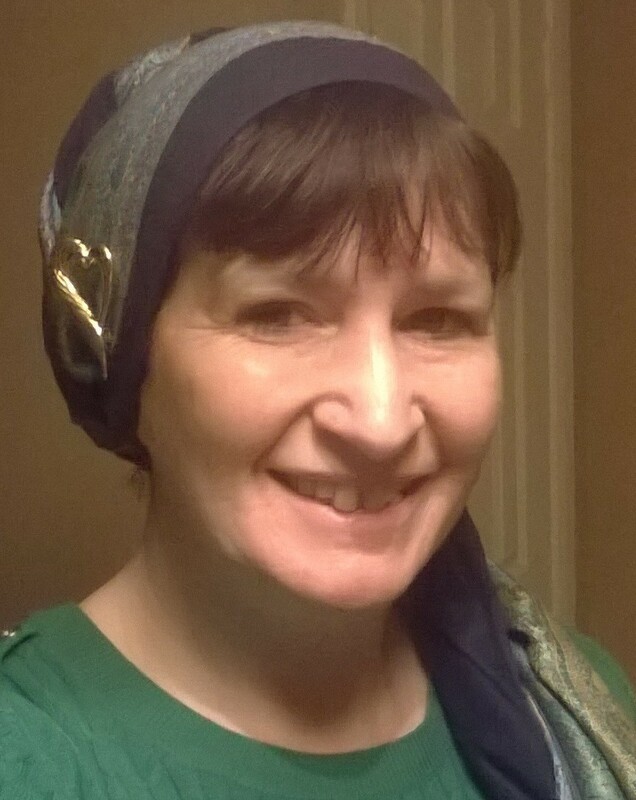 The day I went to the Beth din I was nervous and it all seemed very surreal whilst at the same time very natural and it was the day I 'came home'. A few weeks later I went to the mikvah and despite being terrified of water I actually found myself singing. I would say to anyone who is going through or thinking of going through conversion, don't be afraid to be the real you; Judaism is not easy but at the same time it's very simple; it gets back to basics; it holds us together by a tradition that goes back thousands of years and cuts through all the clutter of today's world. Thank you to David Young for teaching me, and Naomi, Hilary and the everyone else who has been a support to me.